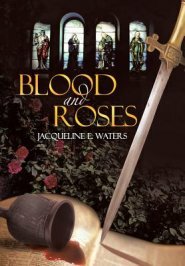 Blood and Roses is an historical fiction set in the mid-1600’s during the English Civil War – a battle for religious freedom. It follows the lives of a number of characters, from both sides of the war, over a span of around twelve years. The key character is Nell, a servant girl who runs away from her royalist household in search of her brother who is fighting for the Royalists in support of King Charles I. She finds herself working for a Puritan household and it is there that she first encounters God personally. Anyone who is interested in religious or British history will enjoy this story. It highlights the age old problem of religion and politics, and contrasts that with a personal relationship with God. It has romance as well as plenty of facts and fighting so it should appeal to both men and women. It presents the strengths and weaknesses of both sides well and shows that there are good and bad people whatever their religion. On the Royalist side, many who supported the king “secretly longed for the days when Catholic rule had maintained a rural peace and the rhythm of life from the cradle to the grave was celebrated and controlled by the ordinances of the church.” The Puritans however believed that true religion had no place for “superstitions and dependence on the papal system.” I found it fascinating that a crucifix was considered “of the Devil”, the celebration of Christmas was banned by parliament and how a girl was almost “swum” (which inevitably ended in drowning) for carrying a collection of bones for her dog. The author successfully conveys biblical truth through direct quotes from the Bible and through a number of spiritual experiences. She also shows how God’s word speaks to our specific situation. I liked seeing Nell’s spiritual transformation from someone who “had never thanked him (God) for anything” because she had “assumed it was the priest’s duty to do that for her” to someone who could not support either side because “neither seemed to express the love of the Christ she had seen on the cross.” I had not realised that so many people left the country for the sake of religious freedom. There are a number of tragic situations in the book which could have been more heart-wrenching, and drawn me more into the characters, with more showing of emotions rather than the logical telling of the character’s thoughts. However the old English voice definitely evoked the period as did the descriptions of food, clothing, wildlife, plants etc. I would have liked a map as I became a bit lost with the many towns and cities mentioned. The book ends well leaving you wanting to know what happens next to the characters – perhaps a sequel, Jacqueline? Blood and Roses is enjoyable, interesting and thought provoking.